When I woke up today I took a look through my blogger feed and saw this great sketch at Less is More. It really intrigued me and I had to play along! I grabbed the Lawn Fawn set Winter Sparrows. This is such an adorable set and I haven't inked it up since I got it months ago, so it was definitely time to play with it! 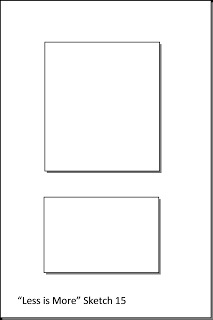 I changed the sizes of the panel just slightly from the sketch in order to accommodate the images and sentiment. 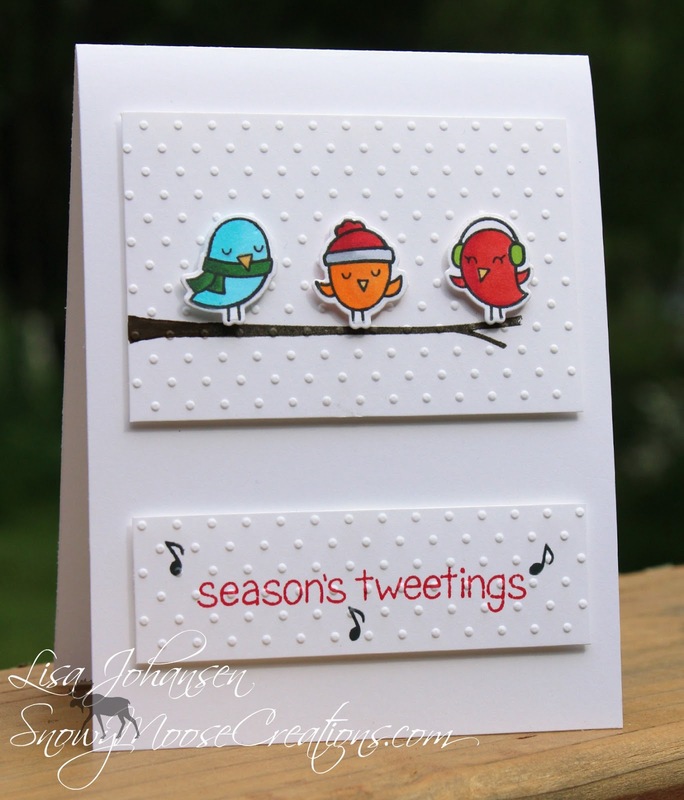 Lisa this is such a fun take on our sketch, I LOVE these little birds! I saw your card at LIM and had to come and take a closer look - Wow! - LOVE IT!! Super cute and fun take on the sketch and what an adorable Christmas card. Brilliant colouring. I love these little birds ~The embossed dots give it just the right touch. This is so stinkin' CUTE! 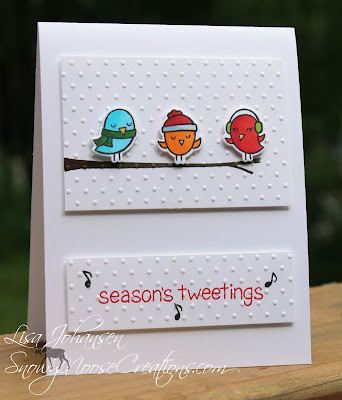 Love the brightly colored birds on the white card base. Perfection! Wonderful Christmas card, love the bright colours with the embossed white dots.